GONE GLOBAL... I just got back from a recent trip to Southeast Asia. Fitting that this week's blog post is globally inspired wallpaper! Who needs travel when you have these beauties to stare at? (Ok, I still do.) These are some of my favorite globally inspired wallpapers. Especially when done in neutrals, ethnic details can warm up a modern space. They add another layer of depth and design to a space. Now, off to plan my next trip. 1. Lulu and Georgia "Moroccan Mural-Sarah Sherman Samuel"/ 2. Anthropologie "Kumo" in Carbon/ 3. 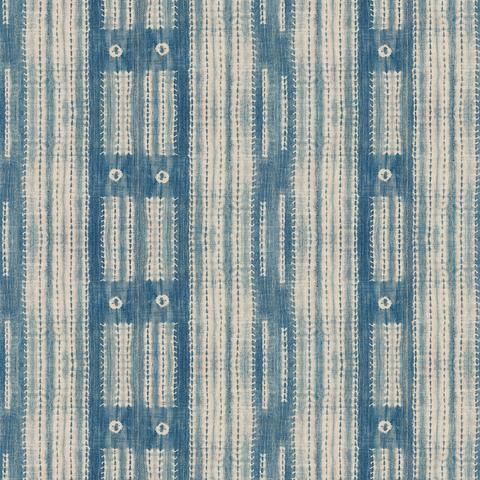 MK Wallpapers "Shibori-Cityscape"/ 4. Jujupapers "Big Moon-Gunmetal on Blush"/ 5. Eskayel "Akimbo 5- Grayscale"/ 6. Quercus & Co "Shoji in Prussian Blue"/ 7. Urban Outfitters "Chasing Paper and Kate Zaremba Flora Removeable Wallpaper/ 8. Kate Zaremba "Pinstripe Floral Noir"/ 9. Amber Interiors "Mali Wallpaper"/ 10. St Frank "Washed Indigo"/ 11. Jujupapers "The Pearl-Gold on Charcoal"/ 12. Eskayel "Banda-Midnight"
Ok. This is SO good. I'm a sucker for black and white and love the mixed of patterns and textures in this space. Worried, a pattern like this is too busy? I would suggest using it for a smaller space like a powder room so that the print isn't too overpowering. Heres a more muted option. It still has plenty of global influence, but is more subdued than the two examples above it. The subtle colors of the wallpaper allow the wood elements of the room to shine through. And finally, a little color never hurt nobody. I love the blues in this Eskayel wallpaper. Their line is an absolute favorite of mine. The extra pops of color in this room really work for me too.